Two oil paintings stolen from the Van Gogh Museum in 2002 were found by Italian police in a town outside of Naples. The anti-mafia squad raided the apartment of Raffaele Imperiale, a major drug dealer who is currently on the lam probably in the United Arab Emirates, in the village of Castellammare di Stabia as part of a large-scale investigation into drug smuggling by the Amato Pagano clan affiliated with the Camorra, the mafia-like criminal organization centered in Naples. It was in the basement that they found the two paintings wrapped in cloth. The police called in experts to confirm the identity of the paintings, but they already knew what they had. The theft from Amsterdam’s Van Gogh Museum is notorious, one of the FBI’s top 10 art crimes thanks to the paintings’ (very conservative) estimated value of $30 million. The two thieves climbed a ladder to the roof and broke into the museum in December of 2002. They stole Seascape at Scheveningen (1882) and Congregation Leaving the Reformed Church in Nuenen (1884/85), two of the artist’s important early works. 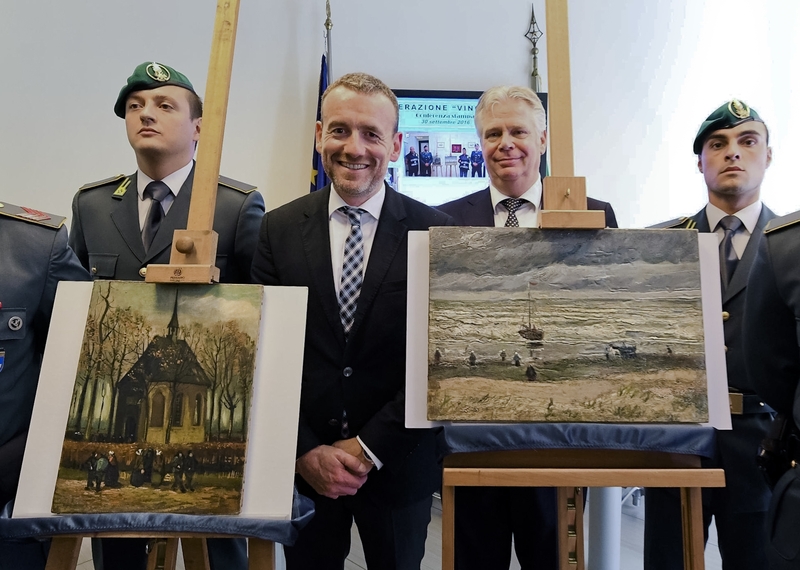 Two men were convicted of the theft a year later, but the paintings were never recovered and how they wound up a thousand miles south of Amsterdam in the hands of Camorristi 14 years later remains a mystery. Van Gogh Museum officials are ecstatic. Museum director Axel Rüger said at the press conference in Naples: “The paintings have been found! That I would be able to ever pronounce these words is something I had no longer dared to hope for.” The paintings are priceless to the museum, of course; their less left the collection with yawning lacunae. The art historical value of the paintings for the collection is huge. Seascape at Scheveningen is the only painting in our museum collection dating from Van Gogh’s period in The Hague (1881-1883). 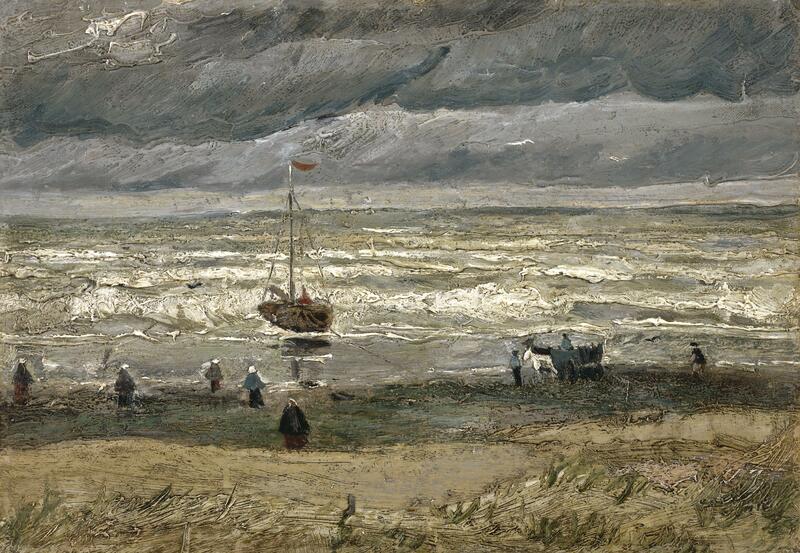 It is one of the only two seascapes that he painted during his years in the Netherlands and it is a striking example of Van Gogh’s early style of painting, already showing his highly individual character. The hoped-for forthcoming return of the Seascape will fill an important gap in the museum presentation. 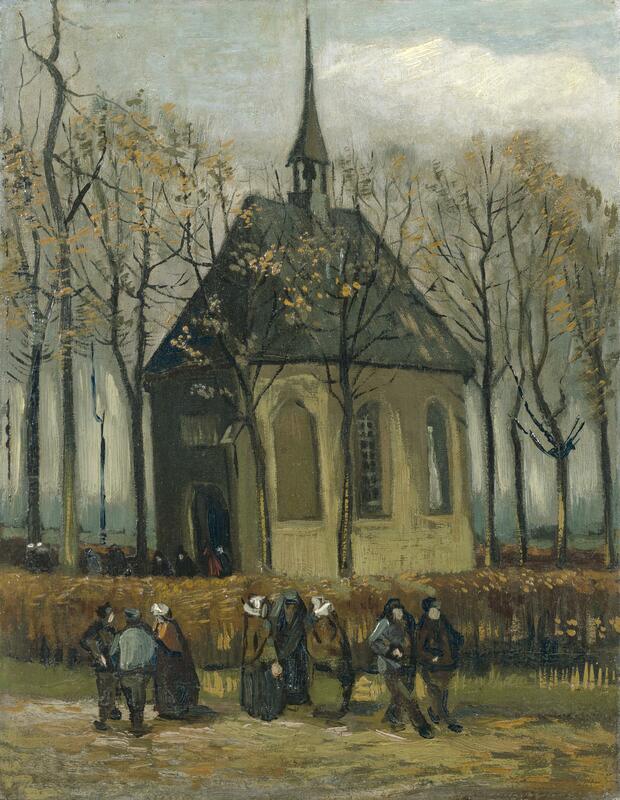 Congregation leaving the Reformed Church in Nuenen is a small canvas that Van Gogh painted for his mother in early 1884. It shows the church of the Reformed Church community in the Brabant village of Nuenen, Van Gogh’s father being its Minister. In 1885, after his father’s death, Van Gogh reworked the painting and added the churchgoers in the foreground, among them a few women in shawls worn in times of mourning. This may be a reference to his father’s death. The strong biographical undertones make this a work of great emotional value. The museum collection does not include any other painting depicting the church. Moreover, it is the only painting in the Van Gogh Museum collection still in its original stretcher frame. This frame is covered in splashes of paint because Van Gogh probably cleaned his brushes on it. Colonel Giovanni Salerno, head of the Guardia di Finanzia (financial police) division that executed the raid, said they recognized those unique paint marks on the back even before the paintings were authenticated as the missing Van Goghs. The works appear to be in good condition, all things considered. The frames are gone. Seascape at Scheveningen has suffered some damage and is missing a small rectangle of paint (5 x 2 cm) from the bottom left corner. Congregation leaving the Reformed Church in Nuenen has some damage around the edges. Conservators will have to examine them more closely to assess their condition. Clearly they have not been kept in ideal climactic condition, so there’s bound to be issues there. Because the paintings are evidence in a giant organized crime case, they won’t be heading back to Amsterdam anytime soon. They will remain in the hands of Italian law enforcement at least until the criminal case is presented in court, perhaps even through the trial, which could take years. Police in Italy are very sensitive to art theft issues, however, and the museum has every confidence that they’ll do their utmost to get the paintings home as soon as possible. There are many old pubs in Britain. Interruptions in service, moves, rebuilds make it ambiguous which is the oldest, but there are candidates in the running that are literally ancient, like 6th century ancient, and the Feathers Hotel, the oldest continually licensed pub, dates to 1619 and incredibly still has its original wooden facade. So within that venerable context, a pub from the early 19th century isn’t all that remarkable in and of itself. 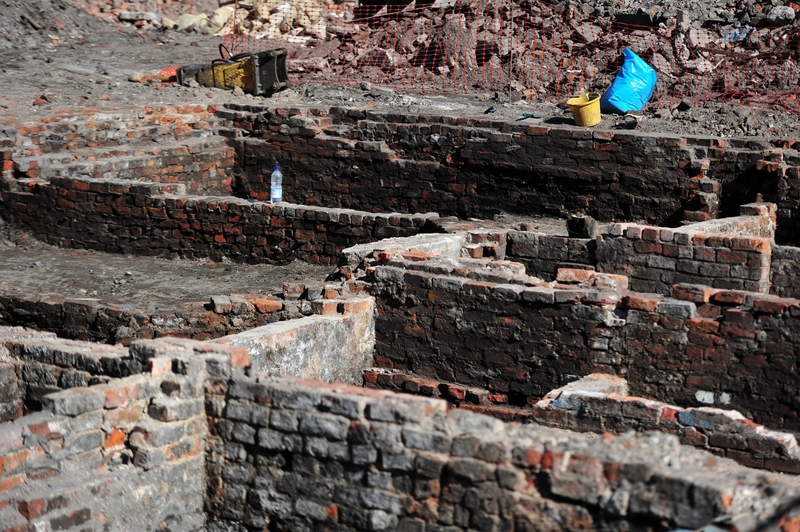 Manchester is a city of a half a million people today and while it can trace its history back to the 1st century when it was founded as a civilian settlement attached to the Roman fort of Mancunium, for almost 1,800 years it was a small country market town. It wasn’t even a city until 1853. Industrialization made the difference. Manchester exploded in the 19th century when it became a center for cotton processing. In the three decades between 1820 and 1850, the rural hamlet became an urban metropolis bristling with smoke-belching factories and mills. Historians know which pub it is because it was still functioning as such until 1928. Opened in 1821 as The Astley Arms, the pub was renamed the Paganini Tavern in 1840, returned to the Astley Arms the next decade before ending its century-long run as Cornbrook House. The building remained standing. It was restored and partially reconstructed in 1986, but eventually was demolished leaving a vacant lot. Aidan Turner, supervisor at the site and senior archeologist, said it was exciting to be able to link the findings to living people today. He said: “We found pottery and bottle from the Astley Arms which actually has the name of the proprietor Thomas Evans, and the name of the pub written on it, so it must have been a commissioned piece for the pub. “It’s brilliant because you can suddenly connect it to the local people in the area. We looked online about his family history and one of his descendants now lives in Texas. I hope they contact the Texan descendant before the site is covered back up and the 13-story skyscraper is built on top of it. 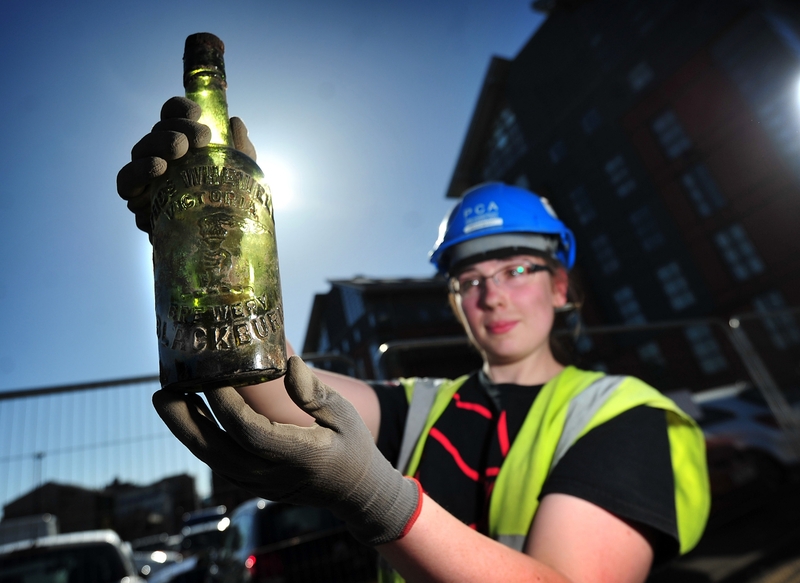 Some of the artifacts will go on display in Manchester’s Museum of Science and Industry. 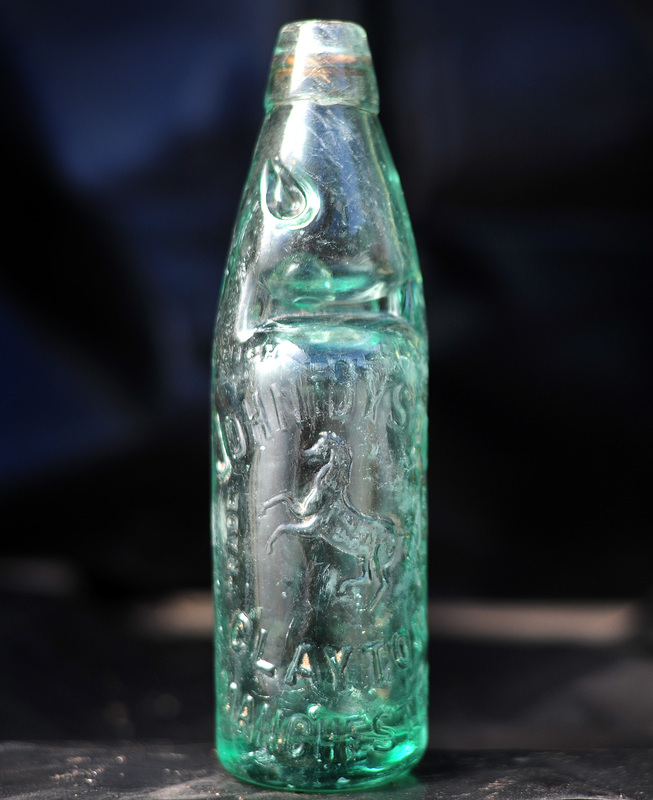 (I’m partial to the handsome glass bottle with the workman’s arm emblem, traditionally a symbol of manufacturing and industry seen on everything from the Great Seal of Wisconsin to mechanic signs to the logo of the Socialist Labor Party of America, but probably best known in the United States as one of the most enduring corporate logos of all time: Arm & Hammer baking soda.) What happens to the rest, including that ripe old brandy, is up to the property owners. Like the Egyptian pyramids, huacas (monumental structures) in Peru have been plagued by looters for centuries, and the eroded adobe pyramid built by the Moche before 300 A.D. in Huaca Rajada, near the town of Sipan, was no exception. It was looters, in fact, who first broke into the pyramid and struck literal gold. The archaeological gods were on the job that day, thankfully, and when the thieves got into a dispute over their loot, one of them squealed to the police. 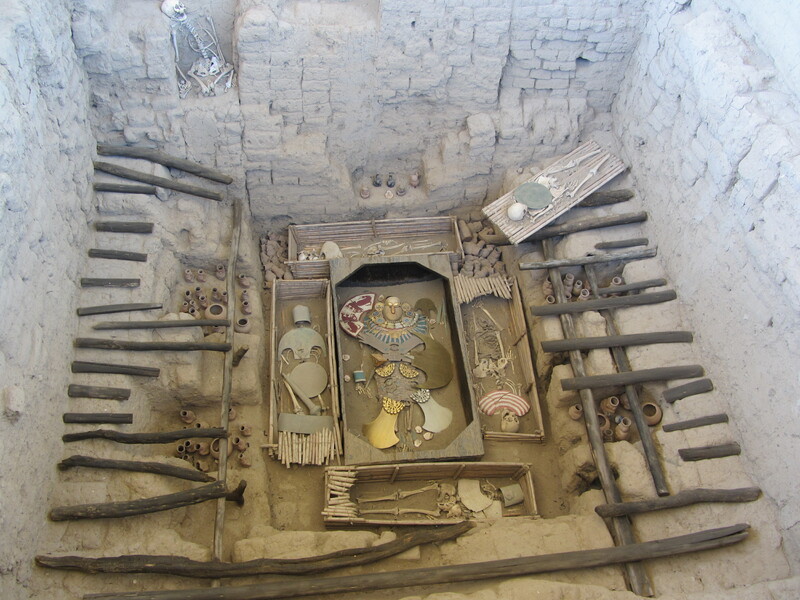 The police called in archaeologist and Moche expert Walter Alva who excavated the site and discovered an elaborate royal burial. In the center of the tomb was the skeleton of a man about 5’4″ tall and 35 to 45 years old at the time of his death. His body was bedecked in precious ornaments — headdresses, face masks, ear rings, nose rings, a large pectoral, necklaces — and all around him were rich grave goods of gold, jewelry, pottery and much more, a total of 451 artifacts. Buried in the tomb with him were three women, two men, a child around nine or 10 years old, a dog and two llamas. The skeletal remains of one more man were found perched in a niche over the chamber roof. It was then and remains today the richest intact pre-Hispanic tomb ever found. The central figure became known as the Lord of Sipan. The contents of the tomb were removed for study and conservation. They are now on display at the Royal Tombs of Sipan Museum in Lambayeque. At the site of the adobe temples in Huaca Rajada, replicas of the Lord’s tomb and others found in the pyramids have been installed so visitors can see them in the open air. 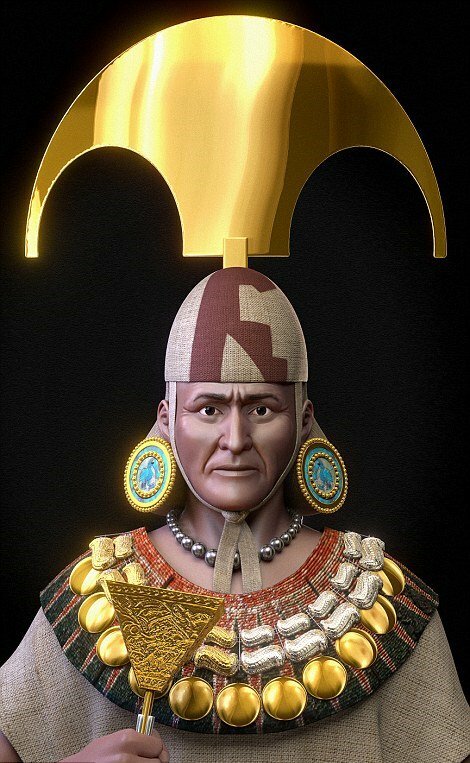 A reconstruction of what the Lord of Sipan might have looked like adorned in all his finery is on view at the museum, but recently a new project was launched to use the latest technology to reexamine the remains and create a digital reconstruction of the Lord of Sipan’s visage. It was a tough challenge. The skull was discovered in 96 pieces, and museum staff had glued the fragments together supported by a plastic frame. The study’s osteological analysis advanced the Lord’s age a decade (he was 45-55 years old when he died) and increased his height (he was a quarter inch shy of 5’6″). He was not very well muscled, which fits with his high status as he would not have been doing much in the way of heavy lifting. He had a few cavities, but nothing to write home about; overall his dental health was excellent. There was no sign of violence or trauma on his bones, just the beginnings of osteoarthritis in the spine, likely at the site of a long-ago injury in his youth. Inca Garcilaso de la Vega University commissioned the Brazilian Team of Forensic Anthropology and Forensic Odontology to see if they could virtually take the skull apart and put it back together more accurately. They performed a high resolution 3D scan of the skull by photographing it from a variety of angles (photogrammetry). Those images were then entered into a software program that could unglue all the pieces and start over from the beginning. Using an average male skull as a template and with the input of a forensic dentist, the team was able to put the skull puzzle back together. The areas with missing pieces were filled in gray. Then the musculature and facial features with digitally constructed from the skull. Parks Canada has confirmed that the shipwreck discovered in Terror Bay by the Arctic Research Foundation (ARF) is indeed the HMS Terror. The crew of the ARF’s research vessel Martin Bergmann notified the government agency of their find on September 11th. Parks Canada’s Underwater Archaeology Team arrived to explore the wreck on September 15th. With help from the Canadian Coast Guard and Environment and Climate Change Canada, the team surveyed the site with side-scan sonar and a multi-beam echosounder. Underwater archaeologists dove the wreck three times. The dives took place during difficult weather conditions and through poor visibility. 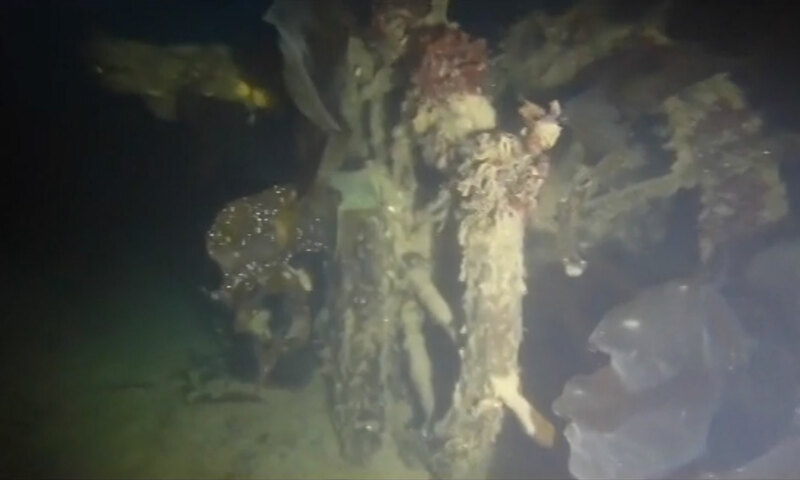 The wreck’s upper deck is heavily covered by silt and marine life. 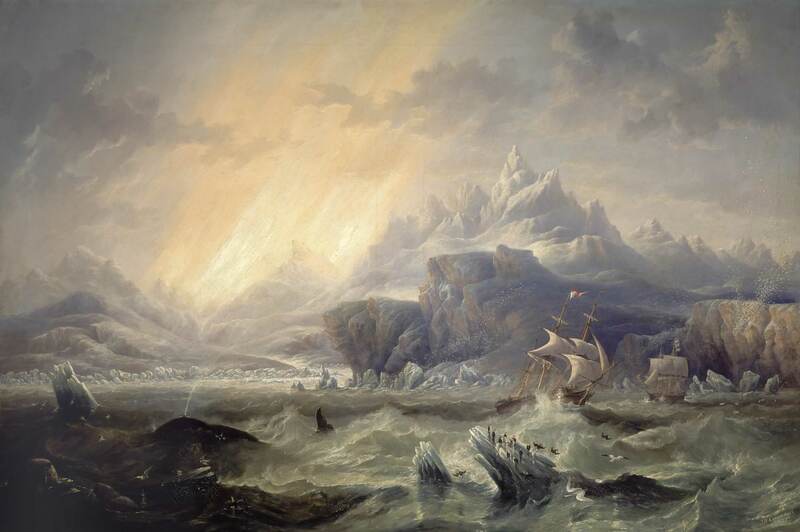 Nevertheless, the divers were able to observe a number of features that were typical or unique to 19th century British polar exploration ships and the wreck has a number of design specifications that were common to both HMS Erebus and HMS Terror, including three masts, iron bow sheathings and a double-wheeled helm. There are no wrecks other than HMS Erebus with these features in the region. Comparing this solid archaeological data to an extensive research archive that includes ship plans of HMS Erebus and HMS Terror, Parks Canada’s Underwater Archaeology Team was able to confirm that the wreck is HMS Terror. The scans showed the well preserved wreck has and features matching the historic records for HMS Terror, including: the configuration of the bowsprit (the spar extending from the ship’s bow); placement of the ship’s helm; the boarding port; and deck scuppers (holes on the side of the ship to allow drainage) which differ from HMS Erebus. The Parks Canada marine archaeologists found that the shipwreck is intact from stem to stern. No artifacts or human remains were spotted on board, but the visibility was so bad that doesn’t mean there aren’t any to be found. The thick layer of silt and marine life is obscuring anything on the deck. It’s also preserving it. Next on the agenda is working with the Government of Nunavut and the Designated Inuit Organizations to protect the wreck site. Archaeologists returned to the site of the first multi-year settlement in the United States this summer and discovered more 16th century artifacts. Discovered by a local historian almost a year ago in Pensacola, Florida, the Santa Maria de Ochuse settlement was founded by Don Tristán de Luna y Arellano in August 1559. The 1,500 colonists — Spanish soldiers, indigenous Mexicans and African slaves — would have been well-provisioned has six of their 11 ships not been destroyed by a hurricane a month after their arrival. They wound up having to make do on their own which did not go well. In 1561, the survivors were picked up by Spanish ships and there was no further attempt at settlement of what would become the United States until Pedro Menéndez founded the St. Augustine colony in 1565. 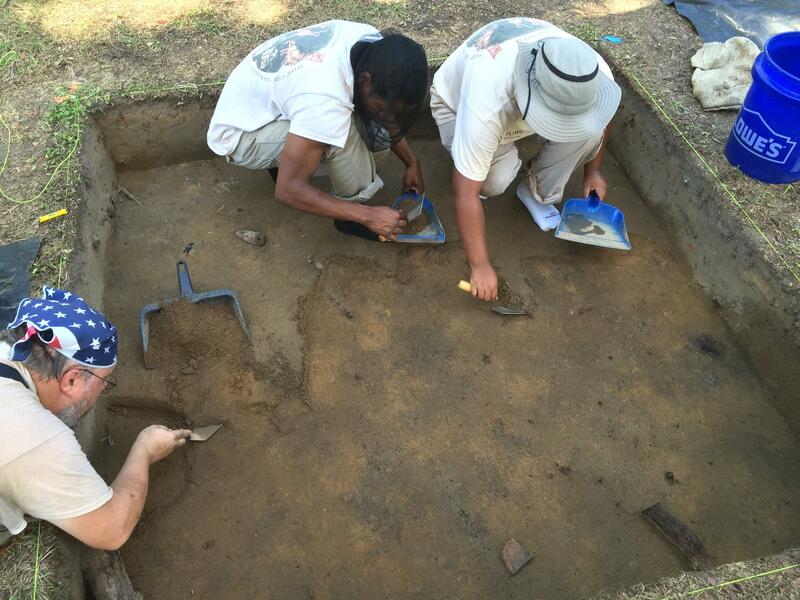 The settlement site was excavated this season by archaeologists and students of the University of West Florida Archaeology Summer Field School. The team focused on the center and perimeter of the settlement, and what they’ve discovered aligns very well with primary documents about the expedition found in Spain by UWF archaeologist Dr. John Worth. One find that would warm the heart of any archaeologist is a trash pit, a stuffed one at that. The pit contains food detritus — seafood like shellfish, oysters and scallops — and a deer antler that suggests the would-be colonists supplemented their fishing with hunting. 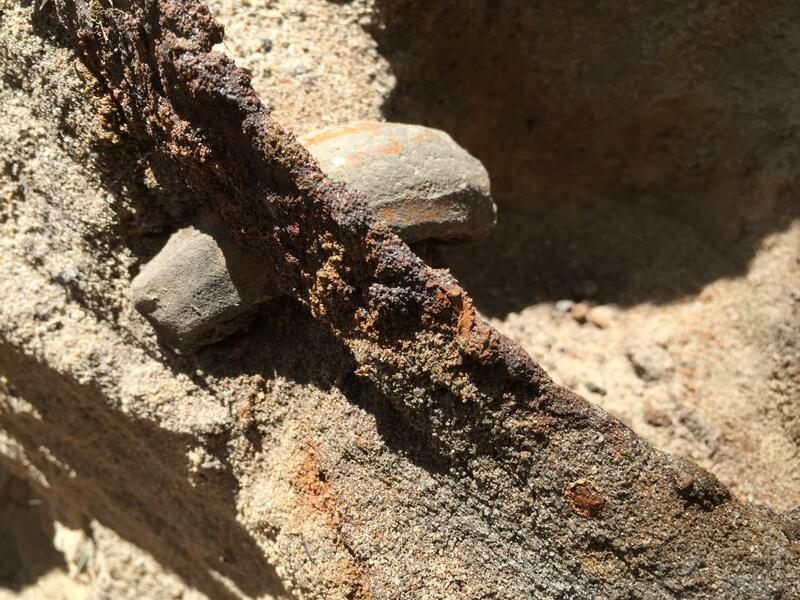 The team also found a number of iron strap fragments that were probably the hoops from barrels. Once the barrels were empty of the supplies they carried, archaeologists believe, Luna’s people may have broken them up and put them to practical use, like in the forging of nails, for example, or to make goods to trade with the local Native American population for food. The dense grouping of mid-16th century Spanish artifacts (pottery sherds, nails) in the core area of the settlement strongly points to this being the Luna settlement. The sheer amount of trash points to a large number of people living there for a significant stretch of time. The fact that the inhabitants even bothered to create a trash pit, as opposed to burning it or discarding it willy-nilly, is evidence that this wasn’t just a landing party, but a planned settlement. There is also evidence of permanent structures built on the site, something attested to in the historical archives, in the form of post molds and horizontal stretches that would have been floors and other surfaces. One artifact may even identify one dwelling as belonging to a specific member of the expedition. For example, in one area containing a dense concentration of artifacts, they also found a balance scale weight, made out of a copper alloy, likely used in measuring pay for soldiers. Worth says there’s only one person in the expedition, the treasurer, who was in charge of that and, therefore, would have owned a set. “The finding of that one scale weight in that particular spot, next to a post hole, may mean that we have found the house, the residence, of the treasurer of the Luna Expedition, Alonso (Velazquez) Rodriguez,” said Worth, noting that they also have a lot of documentary accounts by this same guy about what happened during the expedition. According to the Spanish records, the Luna settlement was going to have 140 homes, four houses to a block with streets separating them on a rectangular plan. In the middle would have been a plaza, as any self-respecting Spanish settlement would have. Settlers had begun work on their new town, clearing the vegetation and building living and public spaces, but the hurricane hit five weeks after they got started, disrupting the original plan. 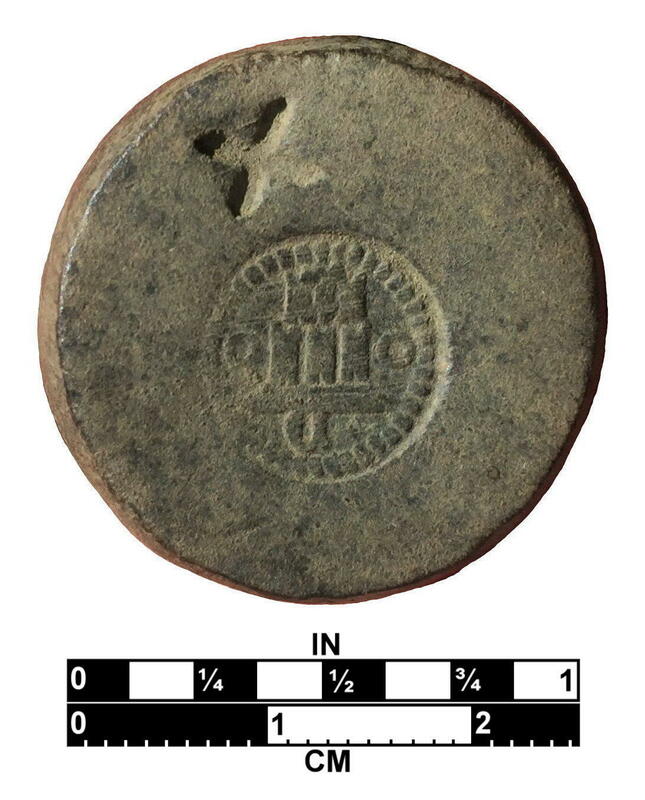 The Luna Settlement Project has a blog, which unfortunately did not keep up with the excavation during the summer, but the few posts it does have are interesting examination of the documentary and artifact record this far. There are some great pictures and lots of links to coverage of the excavation on the team’s Facebook page. Archaeologists excavating Woodsford Quarry in Dorset have unearthed a sarcophagus containing a skeleton whose feet were bent backwards. The sarcophagus, carved out of a single large block of limestone, was found in a grave 5’11” long, 1’10” inches and just one foot deep. Initial osteological examine found the skeleton was that of a young man in his 20s or 30s who was about 5’10” tall. There are no indications from the bones of disease or possibly fatal trauma. Hills Quarry Products contracted Thames Valley Archaeological Services (TVAS) to survey the Woodsford site and excavations have been ongoing for years. At least 11 othr burials have been found at the quarry, but because the soil is highly acidic, no human remains survived. 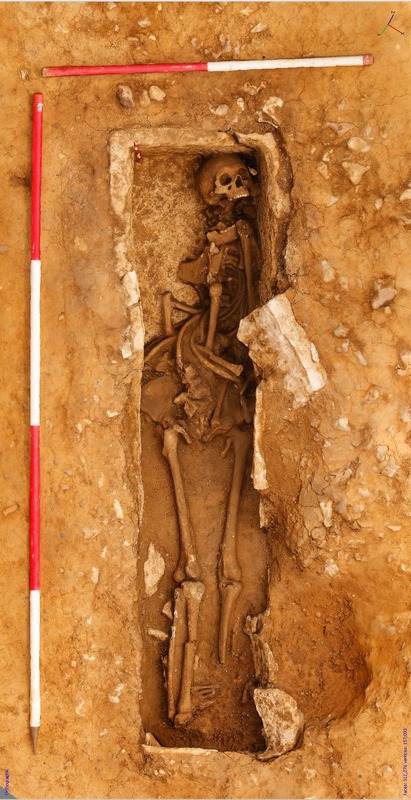 The solid limestone coffin protected these bones from the ravages of the environment, although its lid is long gone, probably destroyed by farming activity which archaeologists have found evidence of going back 4,000 years to the Bronze Age. Director of TVAS, Dr Steve Ford, explained why this was such a significant find. He said: “In the Roman period, burial in a sarcophagus was moderately common in Italy but very unusual in Britannia, where even wooden coffins seem to have been rare. “A stone sarcophagus was certainly a very prestigious item, and their distribution across the country is restricted. Only around 100 are known and it is believed that this might be only the 12th to come from Dorset, with 11 others all from Poundbury. 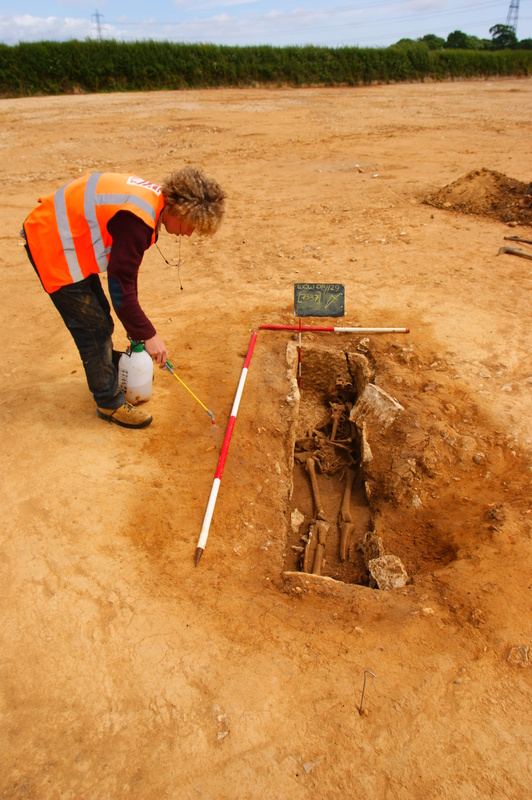 “It is possible that the practice reflects a folk memory of a longer tradition in the South West, however, where stone lined cist burials can be traced back to the New Stone Age around 3000 BC. The skeleton will be subjected to further testing to determine if possible the cause of death and a burial date. After analysis is complete, the skeleton, sarcophagus and other artifacts from the Late Iron Age through the Roman era (1st century B.C. to the 5th century A.D.) discovered at the site will be donated by the landowner to the Dorset County Museum in Dorchester. 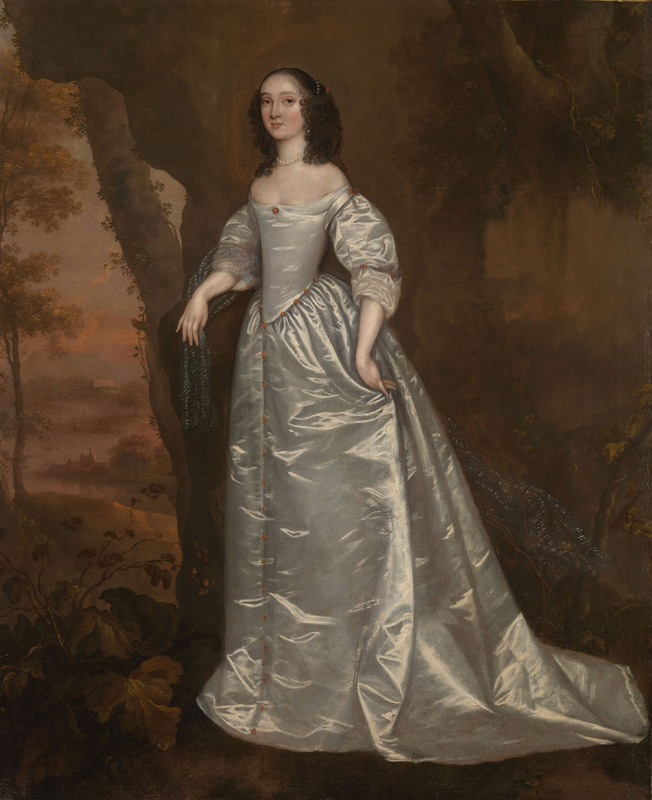 The Tate museum has acquired the earliest portrait in its collection painted by a woman. 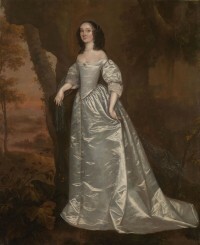 Portrait of an Unknown Lady (1650-5) was painted by Joan Carlile, one of very few women known to have been a professional portrait artist in 17th century Britain. Museum researchers believe she may even have been the first woman in Britain to be a professional oil portraitist. The unknown sitter’s pose and elegant white satin appear in two of her other known portraits. This repetition of a composition lends weight to the notion of Carlile as a professional artist. In 1653 her neighbour Brian Duppa noted that ‘the Mistress of the Family intends for London, where she meanes to make use of her skill to som more Advantage then hitherto she hath don’ and in 1654 Carlile is recorded as living in London’s Covent Garden, then the heart of London’s artistic community. He wasn’t alone. King Charles I thought highly of her work, and no lesser a figure than court painter par excellence Anthony van Dyck mentored her. Charles gifted them both with nose-bleedingly expensive ultramarine paint. Even after the beheading of Charles I, Lodowich Carlile retained his job as Keeper, which is unusual for someone who was really quite close to the late king since they had gone hunting together frequently. He kept the job throughout the Commonwealth and into the Restoration. The couple moved to London again in 1665, this time residing in the St. James’s Market area. Lodowich died there in 1675, followed four years later by Joan. The newly acquired portrait is one of a handful of works by Joan Carlile known to survive. In 1970, an excavation of an ancient synagogue in the town of En-Gedi just west of the Dead Sea unearthed a parchment scroll. The town was inhabited from the late 8th century B.C. until it burned down in early 7th century A.D., and the scroll bore mute witness to En-Gedi’s fate. 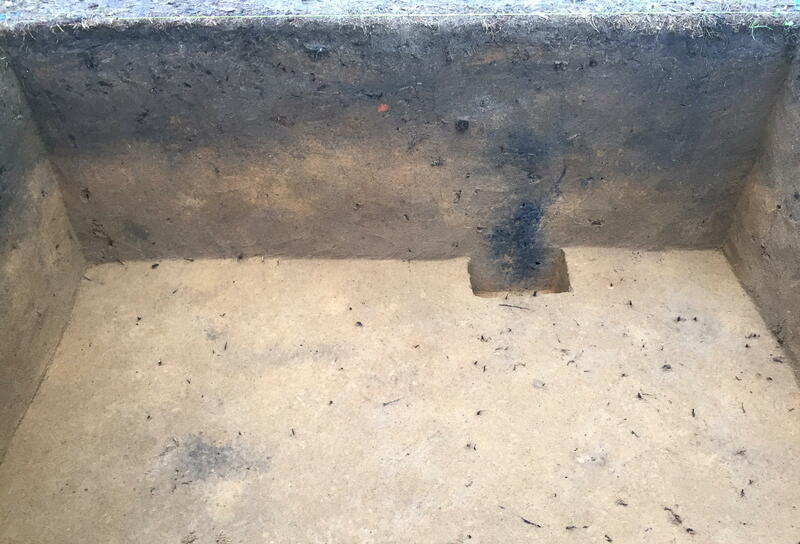 It was found inside the synagogue’s Holy Ark and was badly charred, so severely damaged that there was no way of unrolling it to read its contents. The lightest touch would cause the carbonized chunk to crumble. Radiocarbon dating determined the scroll dates to the 3rd or 4th century A.D.
Forty-five years later in 2015, the Israel Antiquities Authority and University of Kentucky computer science Professor Brent Seales announced that high-resolution micro-computed tomography scanning and new virtual unwrapping software engineered by Seales and his crack team of students had been able to peer into the blackened, crispy scroll and read the first eight verses of the Book of Leviticus. That makes the En-Gedi scroll the oldest book from the Torah found since the discovery of the Dead Sea scrolls (1st century B.C. – 1st century A.D.) and the only ancient Pentateuchal book ever found in a Holy Ark. The noninvasive technology works by converting the 3D scans into 2D images on which the writing is legible. Computer algorithms partition the 3D scans into segments with writing on them. The surface is then rendered into a 3D model where all textures — writing, ink — are positioned exactly where they were they found in the original scan. From the 3D model a flattened 2D version of the surface texture is generated which unwraps the rolled up surface onto a flat page. Since last year, Seales’ team has virtually unraveled five complete wraps of the parchment scroll. While the text itself is less than thrilling (they find one scroll and it has to be Leviticus? ), the implications for future research are deeply exciting. Besides illuminating the history of the biblical text, our work on the scroll advances the development of textual imaging. 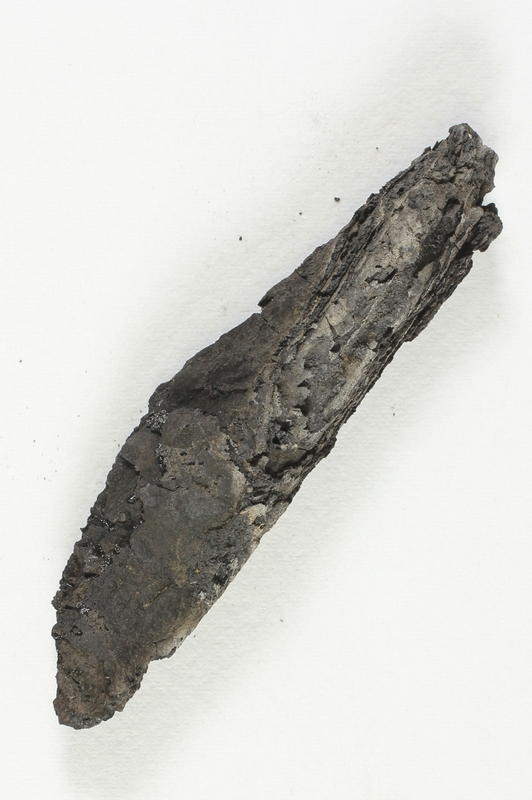 Although previous research has successfully identified text within ancient artifacts, the En-Gedi manuscript represents the first severely damaged, ink-based scroll to be unrolled and identified noninvasively. The University of Kentucky team has worked on scrolls found at Herculaneum that were carbonized in the eruption of Vesuvius that destroyed the town and its better known neighbor Pompeii, but that was four years ago and they were only able to pick out a single blurry unidentifiable letter. I dearly hope they give it another try now. 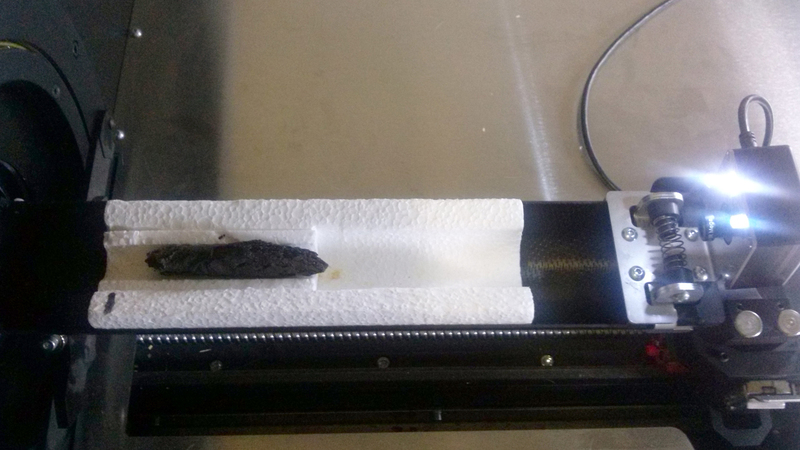 This video explains the virtual unwrapping process and how it worked on the En-Gedi scroll. The full study replete with technical details has been published in Science Advances and can be read in its entirety here. You’d think the Roman fort of Vindolanda just south of Hadrian’s Wall was a footwear manufacturing concern rather than a military outpost with an attached a civilian settlement considering how many shoes have been found there. 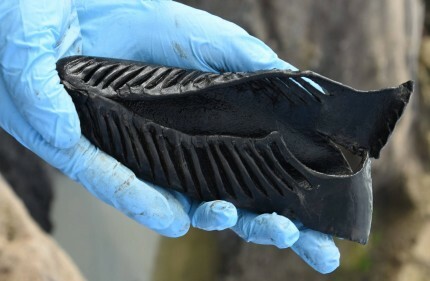 Literally thousands of shoes, their leather preserved in excellent condition by the waterlogged soil, have been unearthed at the fort and settlement over the decades. This season the excavation team has added another 350 shoes to the tally since digging began in April. One of them is making headlines for its stylish resemblance to the Adidas Predator soccer cleats favored by some of the biggest names in the game like David Beckham and Zinedine Zidane. The shoe was found in the Severan ditch, ground zero for what appears to have been a frenzied bout of closet cleaning in 212 A.D. which resulted 420 shoes being tossed into the ditch. Most of them show signs of extensive wear or were cannibalized for parts to repair shoes that survived the great purge of 212. “The boot is the modern day equivalent of around a size one, and would have been worn by a child between the ages of eight and ten. “It is a good quality shoe. “[J]ust like the children of today, Roman children would have been very fashion conscious. The discovery of shoe, which is very well made, shows the affluence of the Romans. 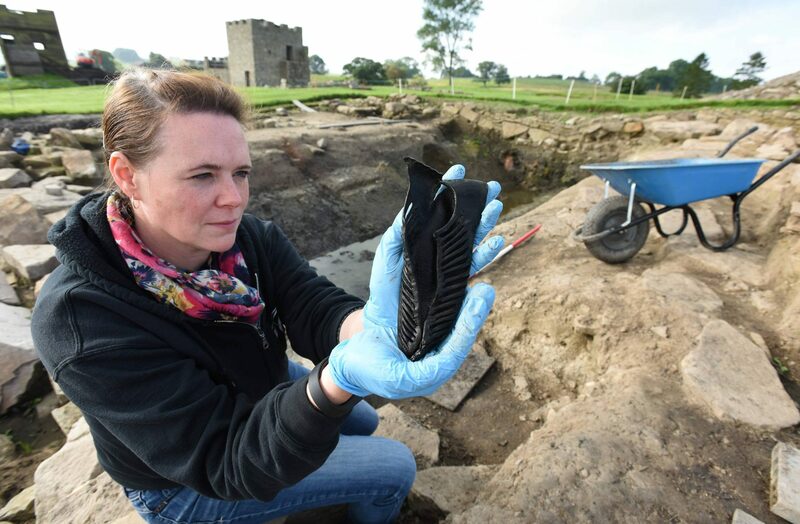 Archaeologists think they have at least one shoe for every individual who lived at Vindolanda during the 300+ years it was inhabited. The differences in quality, design and wear attest to the diversity of economic status in the fort and settlement. They provide an extremely rare glimpse into the way people from all walks of life (pun intended) lived at Vindolanda during the Roman occupation. The handsome shoe will now join its leathern brethren on display at the Vindolanda Museum. Hercules Segers (ca. 1589 – ca. 1638) is not widely known today, but he had an enormous influence on far more famous artists of the Dutch Golden Age and the rediscovery of his works in the 19th century played a major role in the development of the modern graphic arts. Very little is known about his life. He lived and worked in comparative obscurity, experimenting with print media in a way that had never been done before and wouldn’t be done again for 400 years. After his death, apparently from falling down the stairs while drunk, his innovative work became highly sought after, particularly by fellow artists. It was his innovative approach to printmaking that made his name. Even to contemporary eyes, his prints are incredibly fresh: moody imaginary landscapes, each print unique thanks to his constant experimentation with colored inks, tints, colored paper, cloth, textures and cropping. 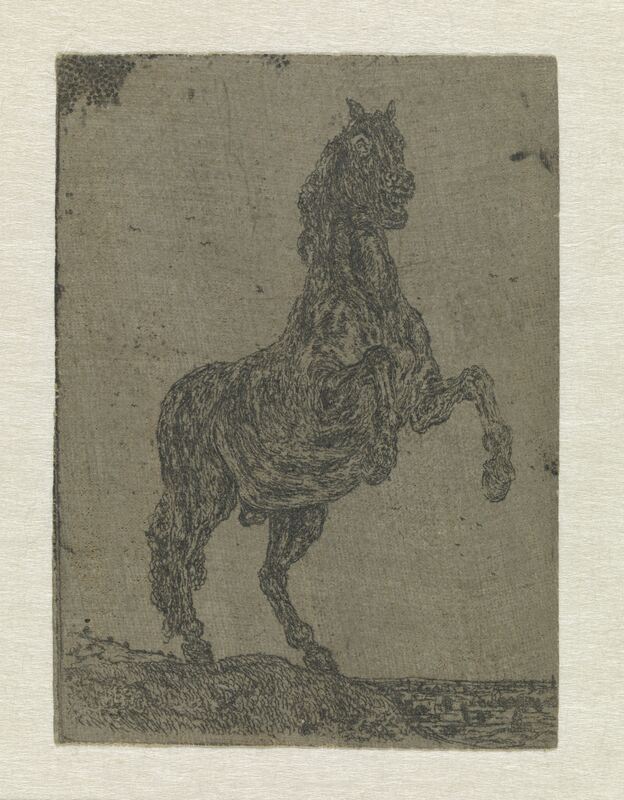 There are only 183 Segers prints made from 54 plates known to survive, each of them unique. 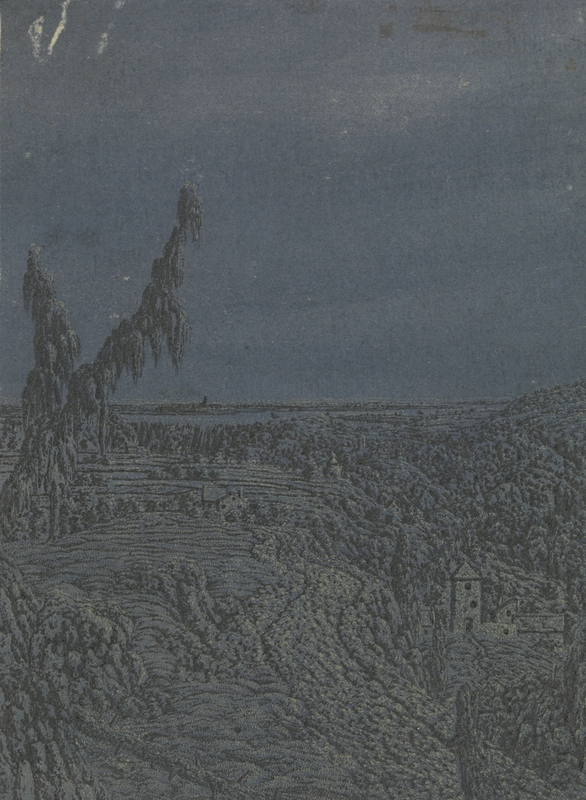 A print by Rembrandt van Rijn is actually by Hercules Segers too. Rembrandt was an avid fan and collector of Segers’ art, and reworked one of Segers’ copper plates, Tobias and the Angel, into his Flight into Egypt, keeping the landscape unchanged but altering the human figures. Rembrandt also collected Segers’ paintings, owning at least eight of them. Considering that only 12 Segers paintings were known to have survived into our time, that’s an impressive proportion. 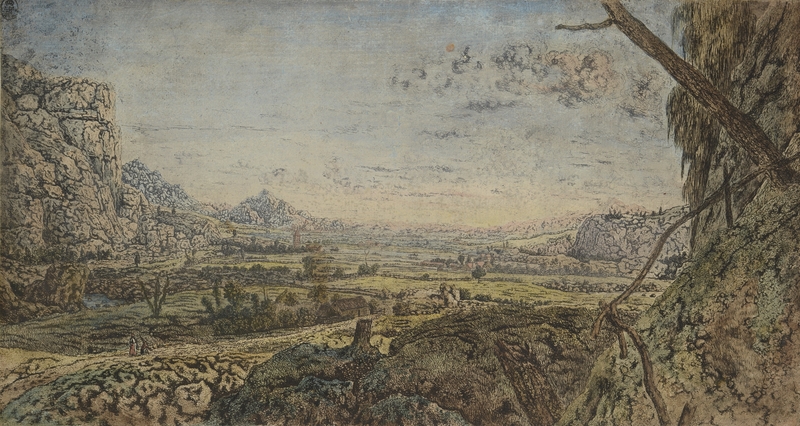 Now that number has been expanded by 50% because researchers at the Rijksmuseum have authenticated another six paintings by Hercules Segers, all of them held in private collections. A team of specialists spent two years studying about 100 disputed or possible Segers paintings and prints for an upcoming exhibition, discovering works never before displayed to the public and confirming the authenticity of works that have been deemed doubtful at best for decades. They enlisted the latest and greatest technology in their pursuit, including infrared reflectography, X-ray fluorescence, ultraviolet photography and dendrochronological analysis on the wood panel paintings. 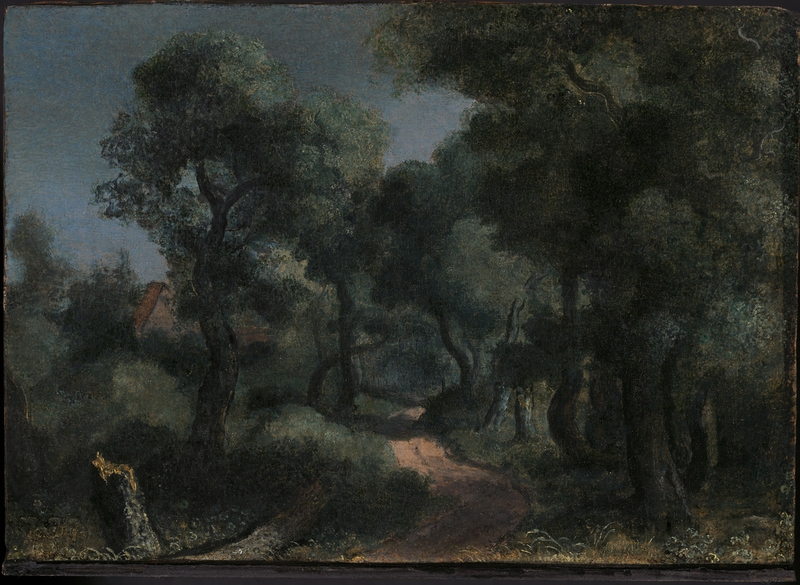 The three paintings, Woodland Path, Panoramic Landscape with a Town on a River and Panoramic Landscape with Two Towers, all owned privately, have never been seen before. The Mountain Landscape from Hovingham Hall in England was last shown almost fifty years ago. Alongside the four works by Segers, there are two other paintings from private collections that have long been considered doubtful but may now also be definitively added to Segers’ oeuvre. 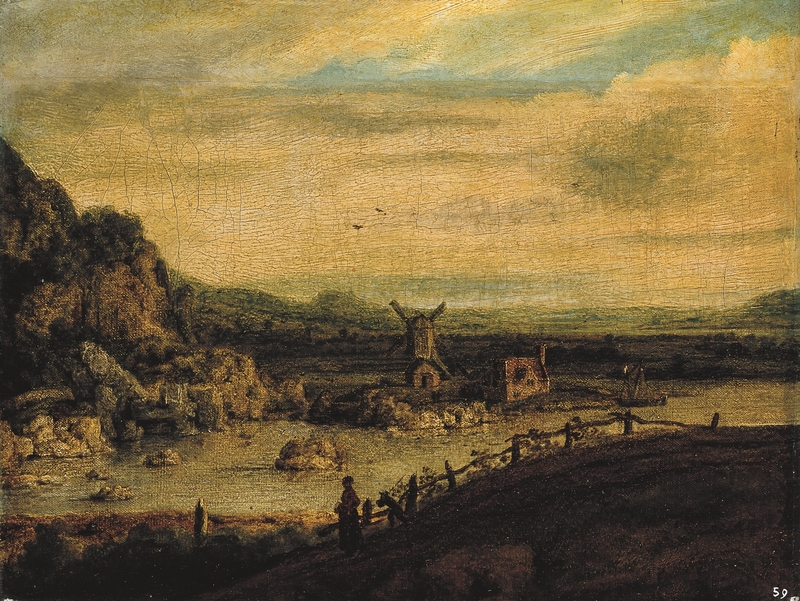 They are the River Landscape with Figures and River Landscape with a Mill. Two new prints by the artist have also been found. The team’s extensive art historical and technical research also revealed new information about Segers’ work and materials. 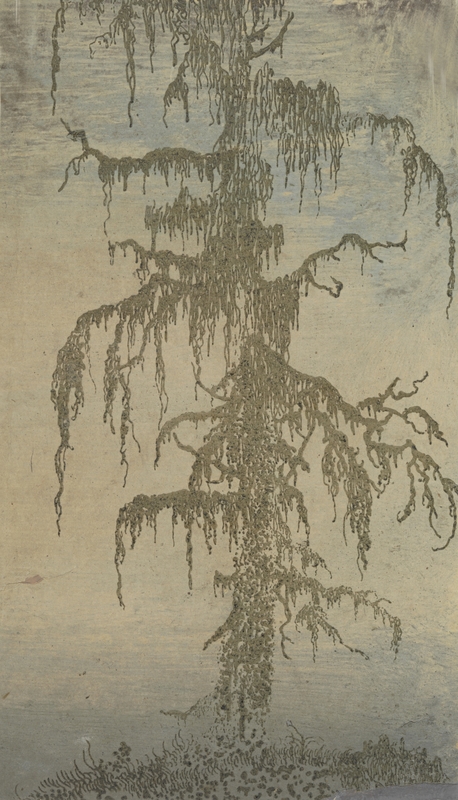 For instance, they found that Segers used painter’s materials in his etchings, using oil paints to make the prints. He used different paper, textiles and paints for every impression, which is why they’re all so different from each other. Hercules Segers was, researchers discovered, the first European artist to use paper from east Asia, beating Rembrandt to the punch by 20 years. 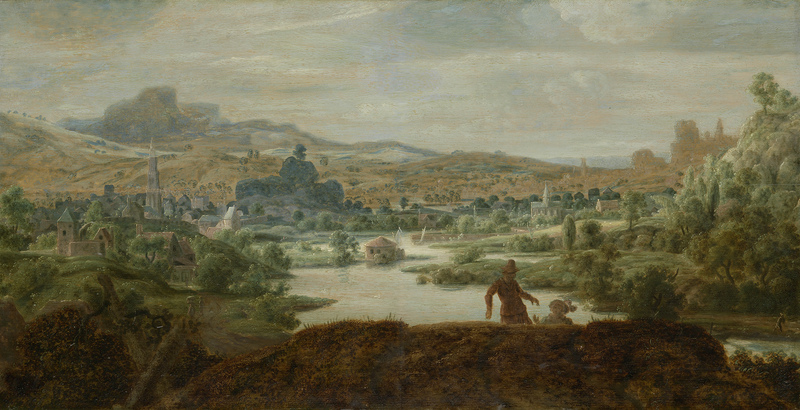 The Rijksmuseum’s research will bear fruit in an unprecedented retrospective bringing together almost all of Hercules Segers’ works. All 18 of his extant paintings and 110 of his prints will be on display at the museum from October 7th, 2016, until January 8th, 2017. 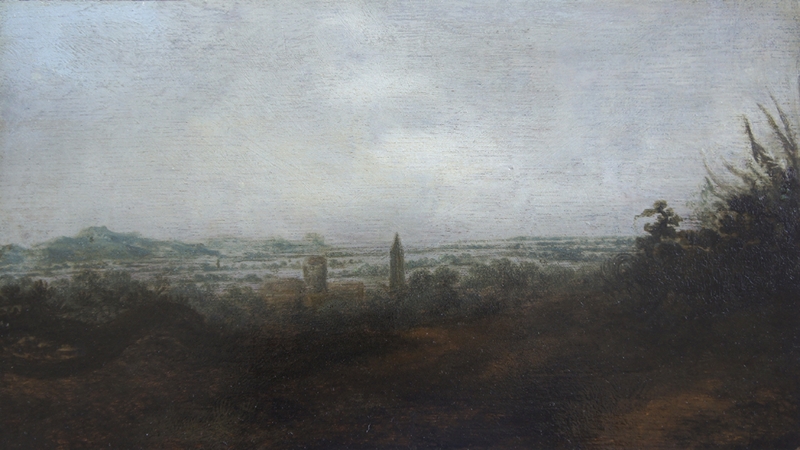 At the same time, the Rembrandt House Museum will put on an exhibition, Under the Spell of Hercules Segers, about the influence of Hercules Segers on Rembrandt and other Golden Age Dutch artists, as well as his influence on graphic artists in the 20th century. 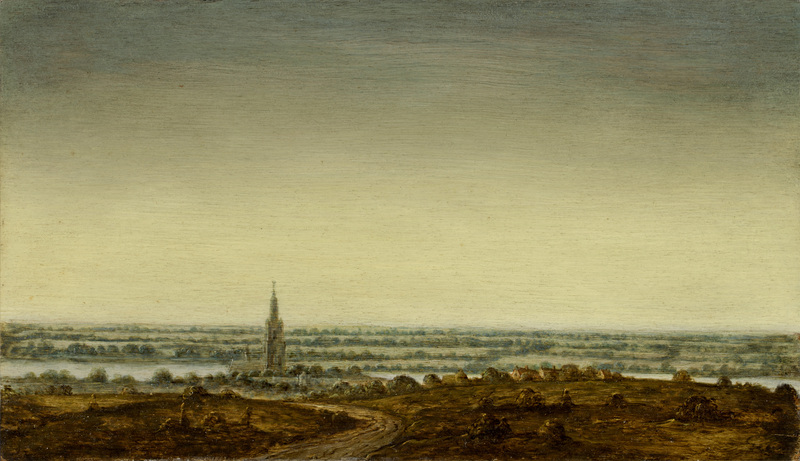 After it closes at the Rijksmuseum, the Hercules Segers exhibition will then travel to the Metropolitan Museum of Art in New York City where it will open on February 13th as The Mysterious Landscapes of Hercules Segers.